National Parks are one of the greatest gifts that our forefathers set aside for us. These pockets of land remind us of how beautiful, yet fragile our world can be. Visionaries such as John Muir and Theodore Roosevelt motivated the masses in different ways, but had the same goal: to protect natural beauty and wilderness for future generations. Nearly 60 designated National Parks can be found in the United States, with Acadia NP being the first East of the Mississippi. With so many Federally designated lands, have we finally completed Manifest Destiny? Finally discovered all there is to explore? My recent trip to the Bold Coast and (more importantly) Western Head Preserve have proven otherwise. A rocky island, dotted with evergreens within the Western Head Preserve. Cutler Coast, ME. After moving back to the East Coast from Western Colorado, I immediately visited Bar Harbor to get my fix of Maine coastlines. I quickly had my fill of tourists, and began searching for vistas and paths that were less traveled and more remote. My curiosity lead me to Cutler, ME, and the infamous Bold Coast. Western Head Preserve is a fun mossy romp in the woods for all ages. The grade is quite mild, and numerous side trails lead to overlooks and seascapes. This is a fragile area, though, and explorers must respect trails and vegetation at all times. Also, there is no camping in the Preserve, or in Cutler for that matter. 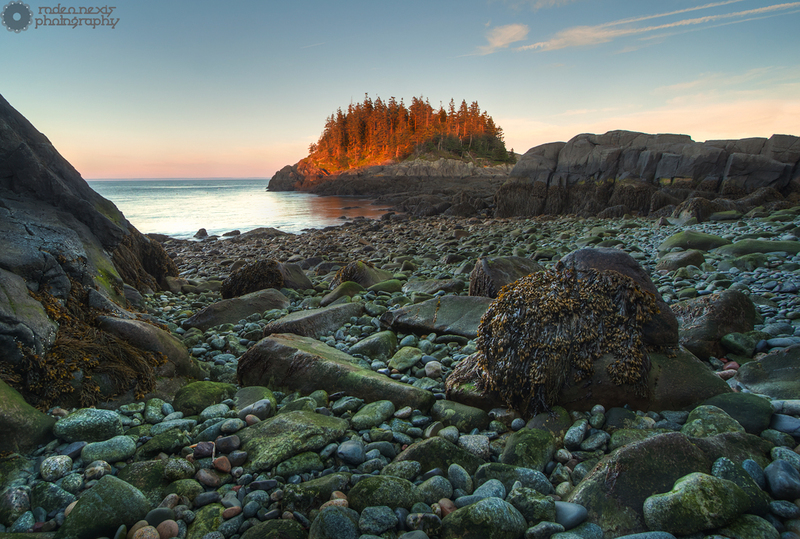 The closest public campgrounds are another 30 minute drive toward Quoddy Head Light, or on the Bold Coast backpacking trail. Learn more at www.mcht.org. 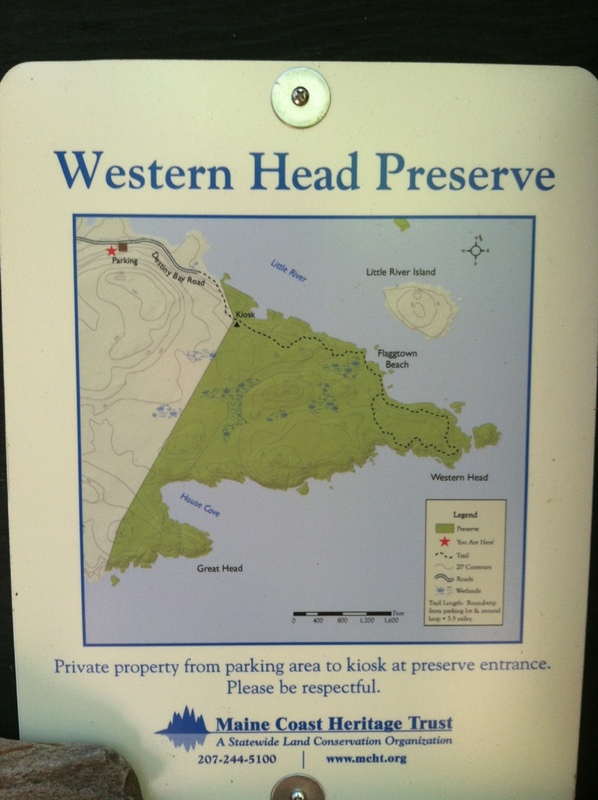 Western Head Preserve Loop map.